The most important feature of the Ring Clik™ display is flawless visibility of your ring. The ring is gently, yet securely, held in place while showcasing any size width of shank from 3mm-12mm every inch. 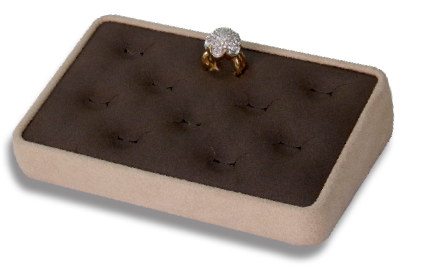 The display features a beautifully curved top pad which compliments, and shows off your jewelry. The Clik™ holds your ring in place while giving it the illusion it's floating.